A new year often provides the incentive to make a fresh start or a new beginning, and what better area to focus on than your own personal health and well-being. 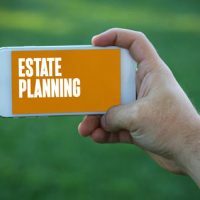 One of the main goals of estate planning is asset protection, and good health is the most valuable asset you can possess. Below are five simple steps you can take now to protect yourself and those you love in the year ahead. Flu shot: Roughly half of all hospitalizations due to complications of influenza are among those aged 60 and older. Zoster vaccine: This protects you against shingles, a painful and serious condition affecting roughly one million Americans each year. Pneumococcal vaccine: This can help prevent infections of the lungs and bloodstream. Tdap vaccine: This protects against tetanus, diphtheria, and pertussis, or whooping cough, and should be updated every ten years. The Agency for Healthcare Research and Quality reports that medication errors and adverse drug events are responsible for roughly 700,000 emergency room visits and 100,000 hospitalizations each year. Review side effects for any medications you are prescribed, and make sure your doctor is aware of any other prescription and over the counter medicines or nutritional supplements you are taking. Fires: Use caution when cooking or burning candles, avoid the use of space heaters, make sure extension cords and outlets are not overloaded, and check fire alarms to ensure they function properly. Slips and Falls: Eliminate clutter from halls and walkways, use non-slip mats in bathrooms and showers, and use handrails when going up or down stairs. You can help reduce your risk of being involved in a car accident by avoiding dangerous driving behaviors such as speeding or going too fast for conditions, texting or using cellphones behind the wheel, and drinking and driving. Practice proper vehicle maintenance and check fluid levels, brakes, and tire pressure regularly. Take the time to thoroughly review your health insurance policy documents, making note of what is covered and any changes that may be needed. Add supplemental insurance as needed, and make sure you are taking advantage of free or low cost services offered. Most plans offer preventative services, such as yearly physicals, diagnostic testing, and bloodwork screening. You may even be entitled to financial incentives from your insurance company for taking the steps necessary to ensure good health, such as joining a gym, losing weight or quitting smoking. As your neighborhood law firm, Cavallo & Cavallo is here to help you in all aspects of planning for the future. Contact our experienced estate planning attorney today to get professional legal guidance in determining what documents you need to have in place to ensure your assets and interests are protected in the years to come.